A series of dramatic events affected Jewish lives and Jewish communities in the 1970s, including the October 1973 Yom Kippur War; the UN General Assembly’s 1975 adoption of the infamous “Zionism is racism” resolution—and a resulting surge in global anti-Semitism; the beginnings of the modern exodus of Soviet Jewry; and the historic visit of Egyptian president Anwar Sadat to Israel in November 1977, which led to the Camp David peace talks and the subsequent signing of a peace treaty between Egypt and Israel in 1979. Throughout the decade, JDC continued to uphold its basic criterion for determining JDC action: to ameliorate Jewish need and to fulfill that mandate in a nonpolitical manner. To clearly identify its role in a rapidly changing world, JDC commissioned a self-study in 1976 whose report led to the formation of the governance structure that exists today. Among other things, the report recognized the centrality of Israel in Jewish life. It called for increased emphasis on manpower training to hasten the transfer of responsibility back to newly strengthened Jewish communities in the West, as well as a concerted effort to reach out to small and distant communities worldwide. It advocated the development of long-term-planning capabilities and the maintenance of a so-called culture of flexibility, with the goal of maximizing JDC’s power to deal with emergencies and respond to unprecedented conditions and emerging needs. In Israel, the 1970s saw JDC move its headquarters from Tel Aviv to Jerusalem and focus on developing innovative model programs that would stimulate social change and responsive community action throughout the health, education, and welfare sectors. JDC’s commitment to professionalism in social service led to the creation of the Joseph J. Schwartz Program to train management for the burgeoning community center movement. The program’s emphasis on research, evaluation, and institutional planning resulted in the establishment of the Brookdale Institute of Gerontology and Adult Human Development, which has evolved into today’s Myers-JDC-Brookdale Institute. In the Soviet Union, the trickle of Jews allowed to leave for Israel for family reunification purposes had by the mid-1970s become a veritable stream, soaring to over 51,000 émigrés in 1979 in response to escalating political and diplomatic efforts. The struggle to achieve emigration rights for Soviet Jewry was beyond JDC’s nonpolitical mandate. However, as the agency that historically provided care and maintenance for Jews in transit, JDC became directly affected when increasing numbers of émigrés insisted on remaining in transit countries to apply for entry to the United States, Canada, Australia, or New Zealand. Backlogs quickly developed, with thousands of transmigrants requiring food, shelter, medical services, and social services for months on end. And to fill idle time responsibly, JDC supported a range of educational, religious, and cultural activities. This “dropout” phenomenon evoked a pressing need for an organized Jewish communal response—a “global Jewish strategy.” In 1980, the Soviet government began to reduce the number of Jews receiving exit visas, but the dropout phenomenon—and the need for a concerted response—would recur with greater force in the ensuing decade. In North Africa, where the Jewish communities in Morocco, Tunisia, Algeria, and Egypt continued to diminish in size, JDC maintained an active concern for their well-being, helping them sustain the institutions necessary for Jewish life. It provided support for education in Morocco and Tunisia and enabled the Jewish aged, sick, and poor in all four countries to live with dignity. In Western Europe, the French Jewish community—due to its changing demographics—continued to receive substantial JDC funding in the 1970s. The massive Jewish influx from North Africa in the turbulent 1960s had swelled the community’s numbers to an unprecedented 700,000, and JDC continued to provide organizational and financial assistance to help meet ongoing communal needs. 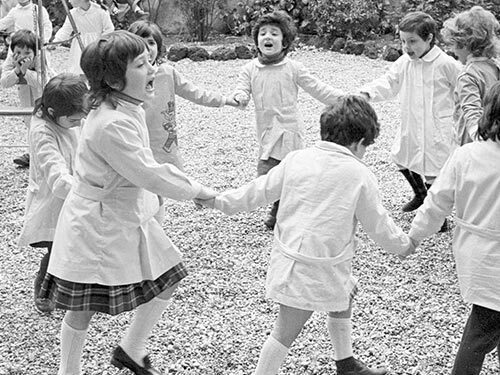 Since 1961, JDC had also been nurturing the European Council of Jewish Community Services as an umbrella for serving the increasingly self-sufficient communities of Western Europe. Throughout the ’60s and ’70s, JDC had an agonizing sense of incompleteness about its postwar reconstruction effort in Europe, because its Cold War expulsions from the Soviet satellite countries placed most of Eastern European Jewry out of direct reach. Yugoslavia alone never expelled JDC, and the Polish government invited JDC to return in 1958 (primarily to care for Jews repatriated from the Soviet Union), only to expel it once again in 1967 following the Six-Day War. The Romanian government, in contrast, invited JDC to resume operations in March 1967, and it did not succumb to the anti-Israel clamor following the June war. JDC’s return to Romania literally meant the difference between life and death for many in this deprived population, left behind when the vast majority of Romania’s able-bodied Jews were allowed to make aliyah. JDC’s welfare and medical assistance sustained thousands of lonely Holocaust survivors and freed the community to invest its sparse funds in Jewish education and cultural life. When Ralph Goldman began his tenure as executive vice president in January 1976, a primary goal he set for JDC was to reenter Eastern Europe “through the front door”—through direct negotiations with the Eastern European Communist governments. Hungary, home to the largest Jewish population in the Soviet satellites, was the first target. JDC consulted with numerous experts and conducted protracted and sensitive negotiations with the Hungarian government. In December 1979 a draft agreement was prepared, setting the terms for JDC to reenter Hungary in January 1980 and leading to a new era of JDC involvement in Eastern Europe.